Glendower Golf Course, currently rated the No10 course in South Africa by Golf Digest magazine, was originally a farm before English golf architect, C.H. 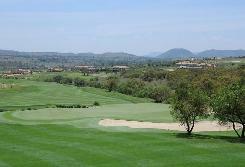 Allison was employed to plan the course and a South African professional golfer, A.F.Tomsett, was assigned the task of the construction. Opened in 1937, such was the standard of the work and layout that after only two years the club played host to its first major tournament, the Transvaal Open Championship, won by the great Bobby Locke with a world record score of 265 shooting rounds of 66,69,66 and 64. During the 80’s the course saw a major face change. All 18 greens were reshaped and rebuilt, new tee positions were set up, existing water hazards were cleared and extended and new water features added at a number of holes. The changes have made the club one of the most challenging and beautiful courses in South Africa. Conveniently located within 10 minutes of Johannesburg International Airport, Glendower is a well designed 6 770m course, situated against a tree-covered slope. The fairways are excellent, featuring numerous hazards and narrowing at the greens. Water comes into play on 11 of the holes. 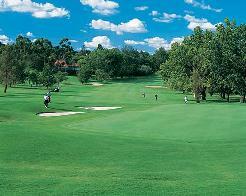 Magnificent greens, an abundance of bunkers and luscious Kikuyu fairways complete your experience. 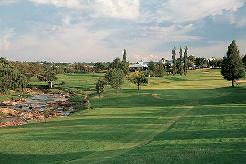 Glendower has been prestigious host to the South African Open Championship in 1987, 1993 and 1997. In 1973 the club was proclaimed a Nature Reserve. This proclamation was in order to preserve the excellent bird-life that is to be found on the course. Signature Hole: The aesthetically pleasing second hole is one of the best par-fives to be found anywhere, requiring an accurate tee-shot to a fairway flanked by trouble both left and right and a water hazard next to the green.